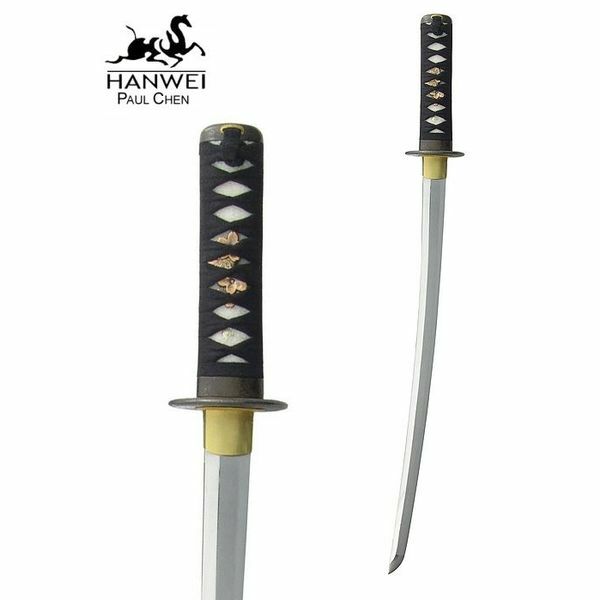 This battle-ready wakizashi matches the battle-ready katana (iaito). 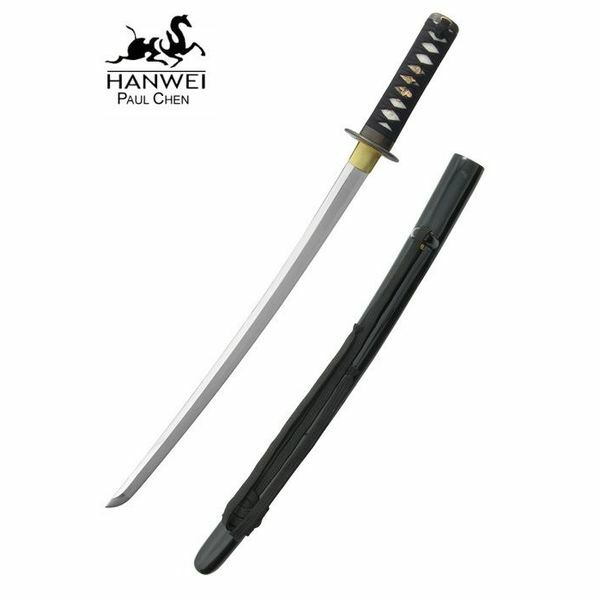 This wakizashi has a handmade carbon steel blade, its sharp edge has a hardness of 60 HRC and the blunt edge is 40 HRC. The grip is wrapped round with shagreen and rough woven cotton. This wakizashi is 70 cm long with a 50,80 cm blade and a 16,50 cm grip. It weighs 680 grams and its point of balance is situated on 10,20 cm.